Square Mile Capital Management LLC and Deutsche Bank have co-originated $231.6 mil in financing for a 319.4k sf creative office portfolio located in Culver City. The borrower is Samitaur Constructs, a Los Angeles-based owner/operator that has been acquiring, developing, and managing assets in Culver City for 35 years, with a focus on adaptive re-use projects. The firm’s current portfolio is comprised of 595k sf of commercial space located in the local submarket. The portfolio comprises a 49.9k sf, newly constructed office building that is fully leased to Nike, along with a pair of office buildings totaling 89k sf that are completely leased to five tenants including WeWork and Jukin Media. In addition, the Wrapper Tower project is included in the financing. The development will feature 180.5k sf of office space within a distinct exoskeleton steel structure. The 16-story high-rise will allow for 20k sf floorplates. 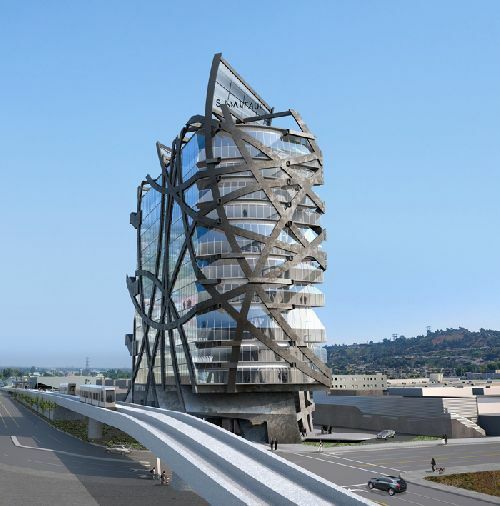 Upon completion, the building will become the first creative office tower in Culver City and will deliver unparalleled views and creative office space to the market. The development is located in Culver City, an area that has continued to transform over the past decade due to large-scale redevelopment programs. Newly built mixed-use complexes have successfully attracted a variety of technology and media tenants, which has rebranded this market as the next commercial core for Los Angeles’ bustling creative industry. Culver City is also well connected through a variety of public and highway transit options. Furthermore, the embedded demand for commercial space is generated from the dense residential communities both within and proximate to the market.